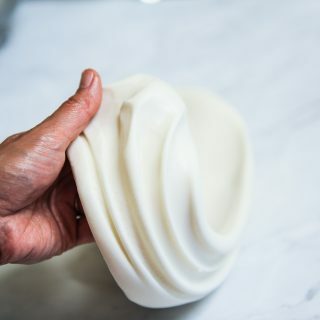 A fondant recipe to extend store-bought fondant into a tasty, easy-to-use fondant that won't rip, tear, or get elephant skin. 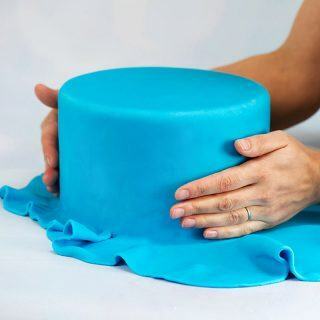 This isn't a scratch fondant recipe but has become a standard how to make fondant recipe for cake decorators everywhere. 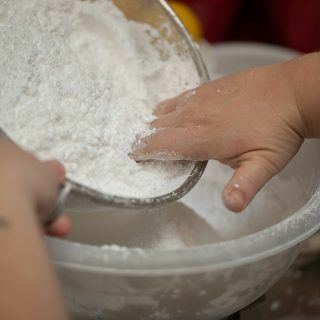 Sift the powdered sugar and set aside in a large bowl. 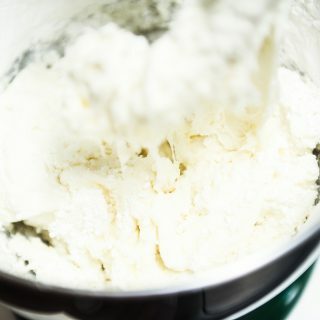 Place vegetable shortening in a stand mixer bowl. Heat marshmallows for 40 seconds in the microwave on high (or on stove top). Stir with spoon. 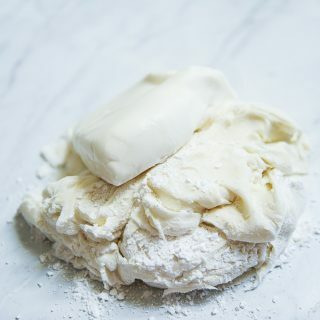 Place marshmallows back into microwave and heat for another 30 seconds (or on stove top). Stir with spoon. Heat marshmallows (last time!) for 30 seconds in the microwave (or on stove top). 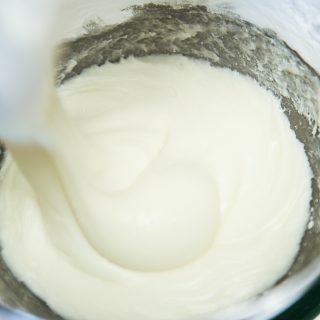 Don't stop mixing until it's sticking to the sides of the bowl and looks smooth. Add in another cup of powdered sugar. 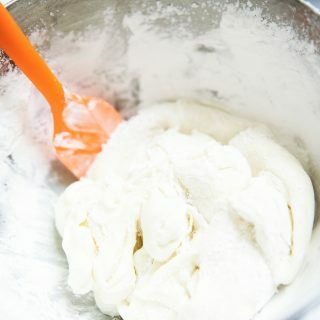 Pull fondant off the dough hook attachment by putting vegetable shortening on your fingers and pulling it off the hook. 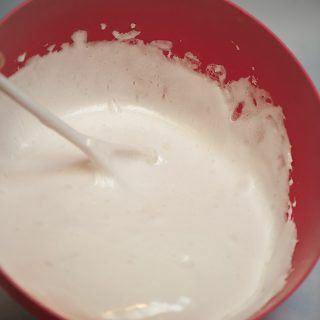 Take the soft mixture out of the bowl and put it into the large bowl with the rest of the powdered sugar. 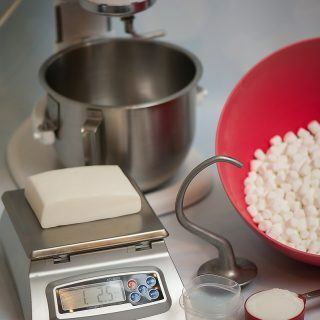 Warm the Wilton fondant in the microwave for 40 seconds and add to the large bowl with the powdered sugar and marshmallow mix. Knead until powdered sugar, marshmallows and Wilton fondant is mostly incorporated. You may not use all of the powdered sugar depending on your climate and that is completely fine. Store in a zip-lock bag at room temperature. 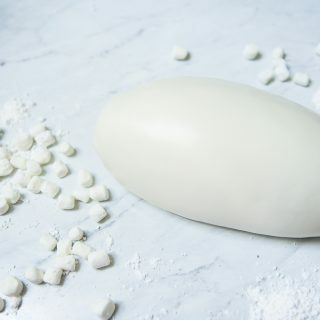 Fondant will keep for months in a zip-lock bag. To use again, reheat and knead well until stretchy before each use. You can add color as desired but for dark colors, you should add them during the mixing process or you could get a sticky mess.